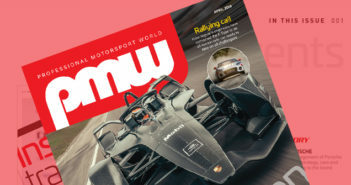 BMW is bringing electromobility up to race speed: Initially revealed as a goal in 2016 as part of the realignment of the motorsport strategy within the BMW Group, BMW will join the FIA Formula E Championship as an official manufacturer in Season 5 (2018/19). The cars, equipped with a completely newly-developed BMW drivetrain, will be run by the Andretti Formula E team as BMW’s works entry in the series. Together, BMW and Andretti will compete in exciting races at the heart of some of the biggest cities around the world. The main driving force behind the new BMW i Motorsport is the development of innovative technology in the field of electromobility, in which the company has established a leading role over the past ten years. The consistent implementation of the new motor racing strategy also includes the expansion of classic activities at BMW M Motorsport.